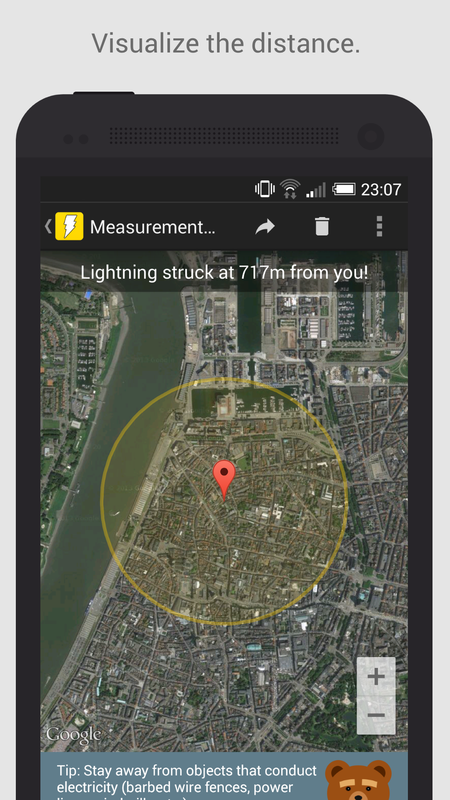 Measure and visualize the lightning distance from any close thunderstorm! 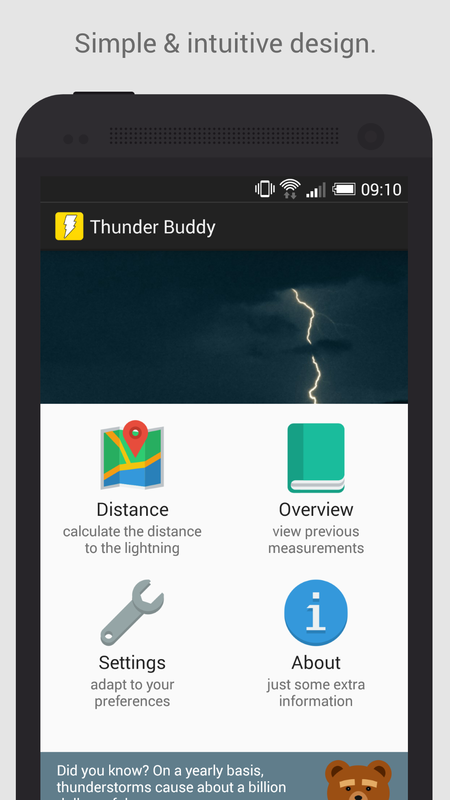 Find out the lightning distance within a few taps using Thunder Buddy! 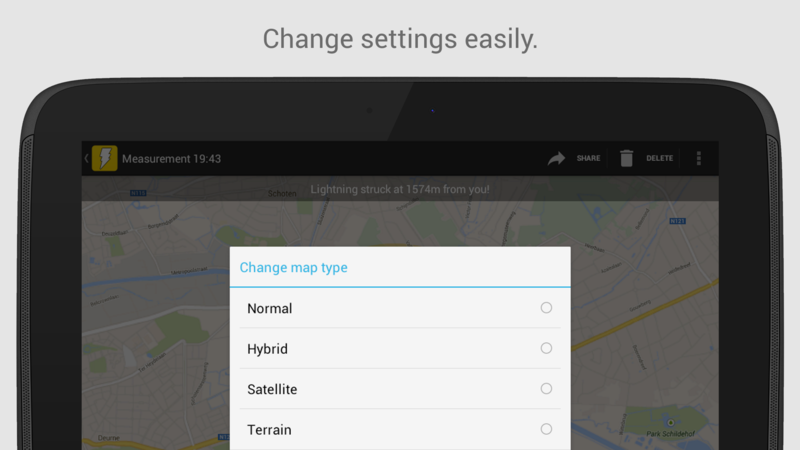 You can view the thunderstorm's estimated location on Google Maps. 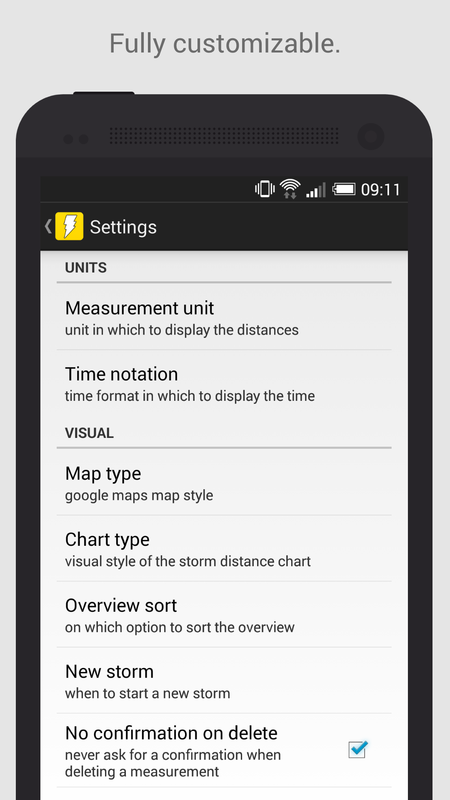 Keep track of all the thunderstorms you ever survived, wherever whenever, in a clean history overview. 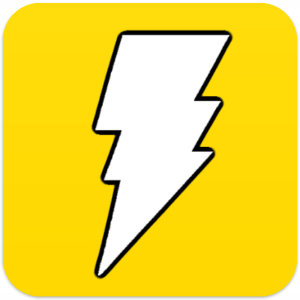 And last but not least, read interesting facts about thunder & lightning. 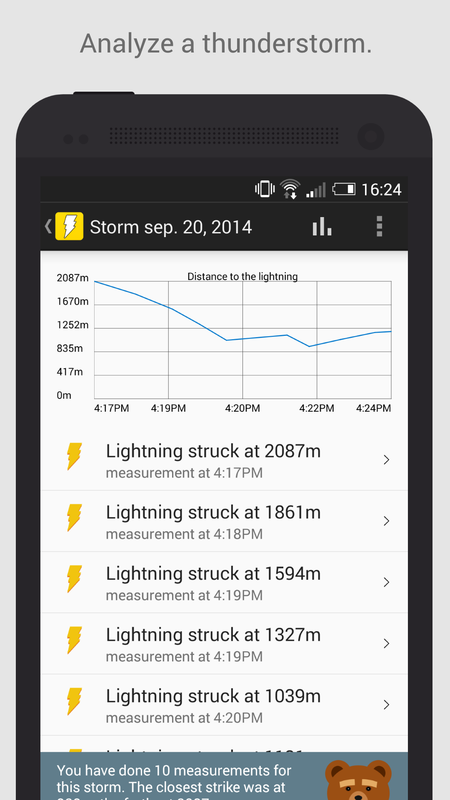 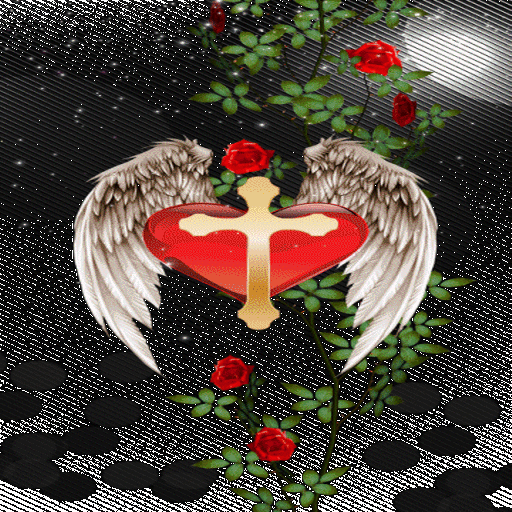 A must have app for anyone who enjoys the power of nature during thunderstorms. 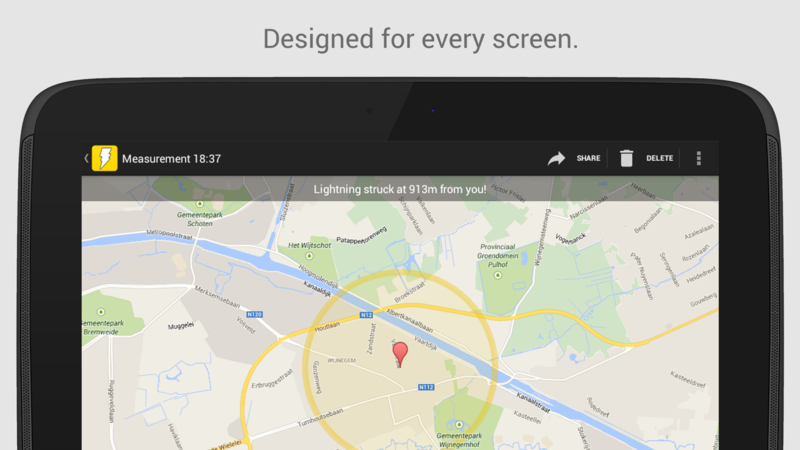 But also for people who don't enjoy thunder & lightning but want to know the lightning distances & feel safe. 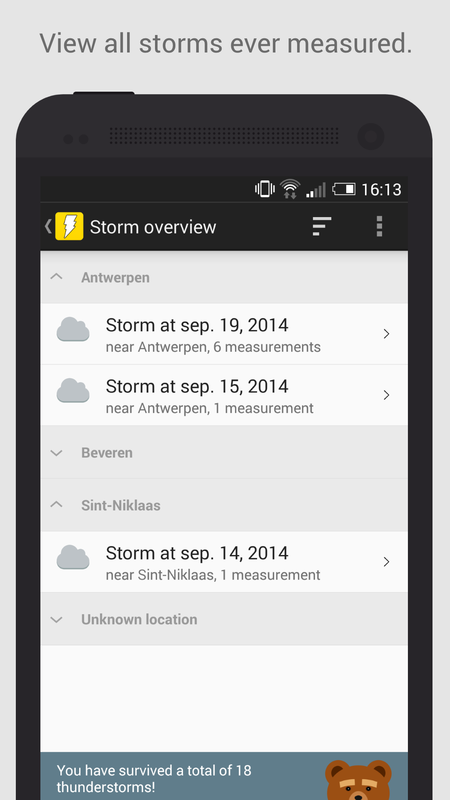 Whatever type of person you are, after downloading this app you will look forward to the next thunderstorm! 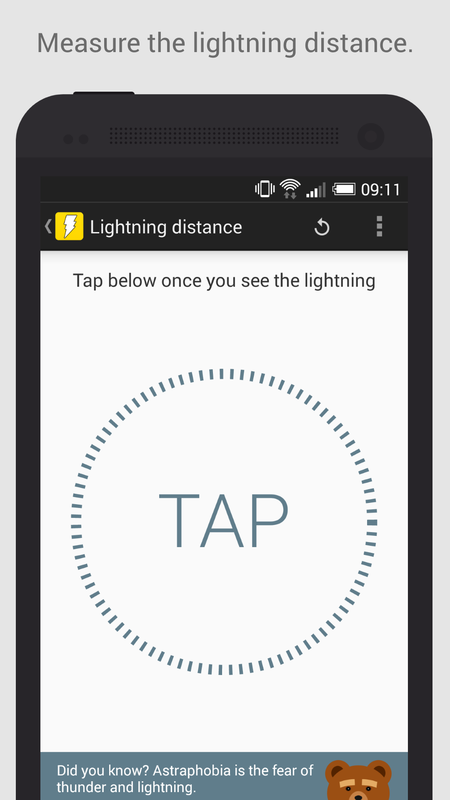 Features -Measure the lightning distance -View the lightning distance on Google Maps -Read fun and interesting facts -Tips to stay safe -Simple, clean & intuitive design -Support for all major distance units: Meter (m), Kilometer (km), Foot (ft), Yard (yd), Mile (mi) Oh yeah, and it's 100% free!